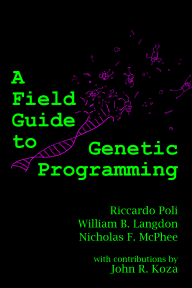 A Field Guide to Genetic Programming: The book is now available! The grand unveiling is going on as I type here at EuroGP 2008 in Naples. Head over to Lulu.com to purchase an inexpensive printed copy or download the free PDF version! A huge thanks to all our proofreaders! Bill Langdon receives prestigious EvoStar award!